This kit shows the power of natural resources: wind, water, and the sun. 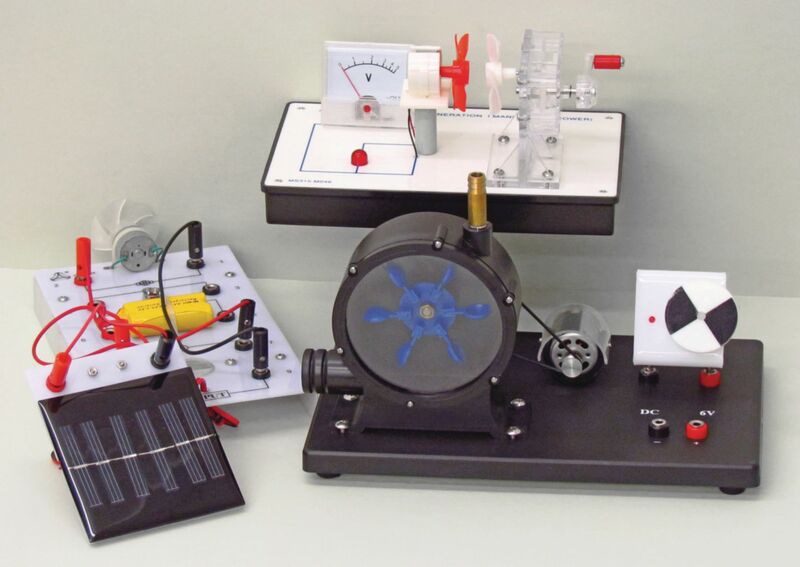 A wind-powered turbine demonstrates the generation of electricity; a water turbine reveals how hydroelectric generation works; and the solar-power demonstrator shows how its energy can be converted to mechanical, light, battery power, and current. Alternative energy lessons spring to life with these easy-to-understand demonstrations.